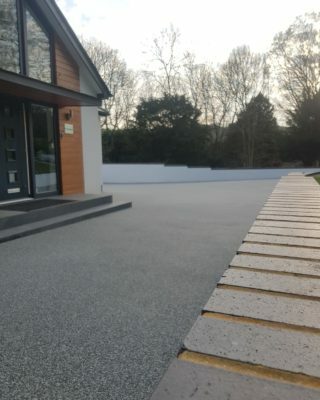 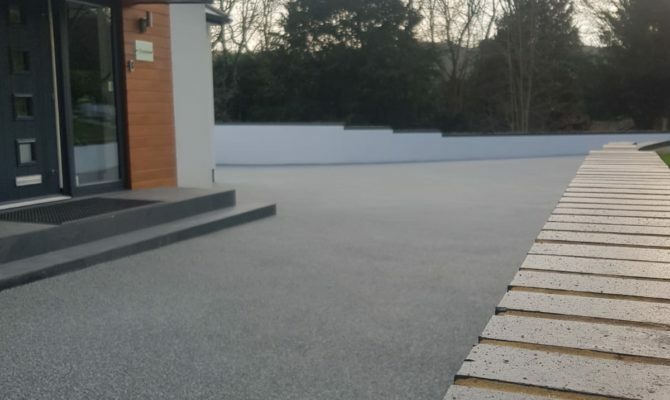 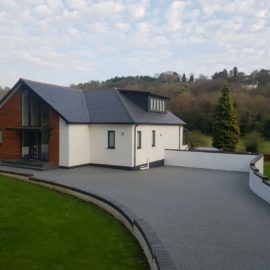 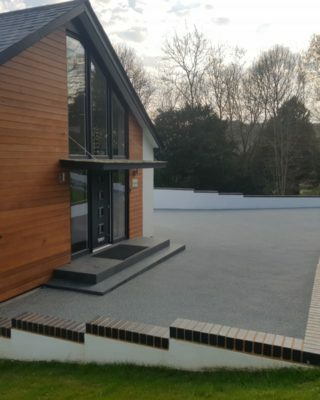 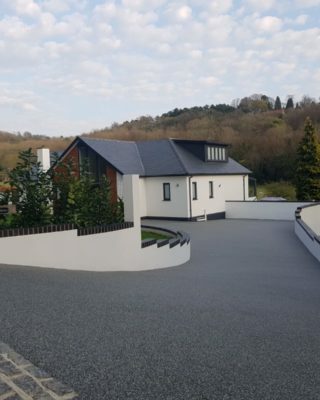 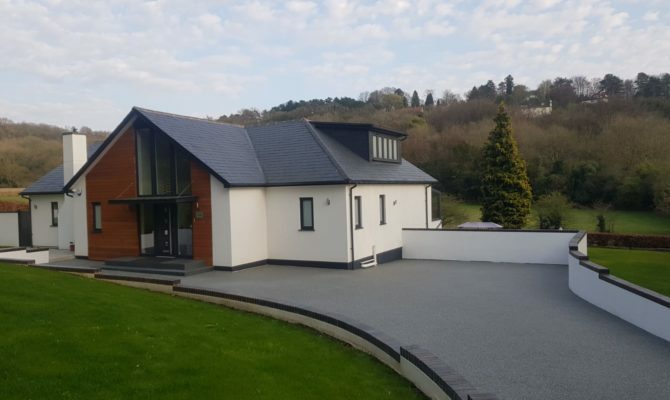 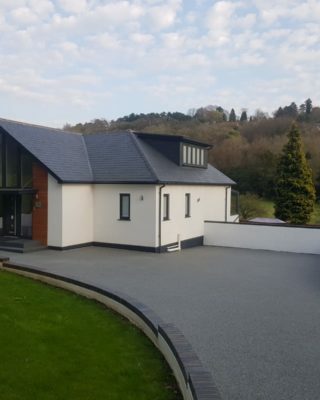 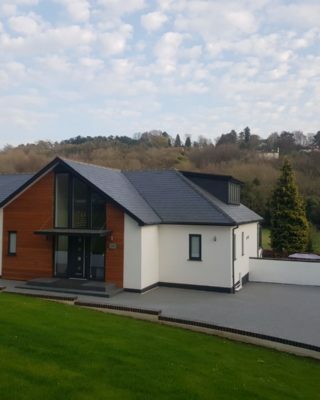 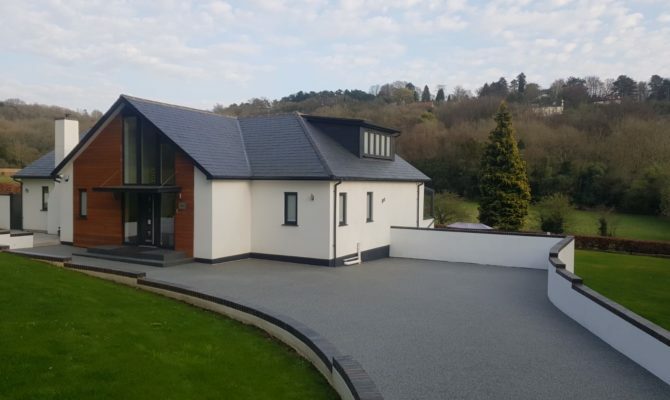 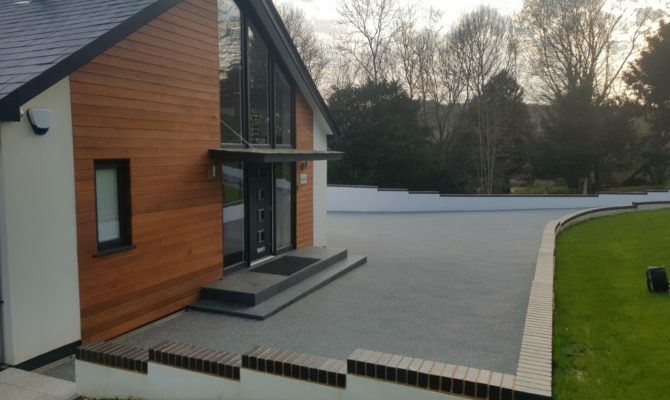 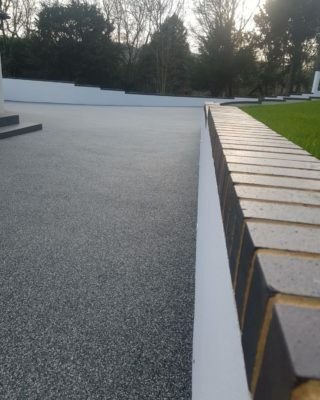 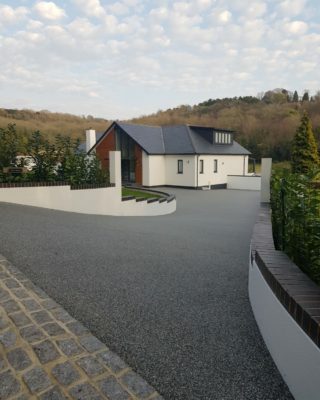 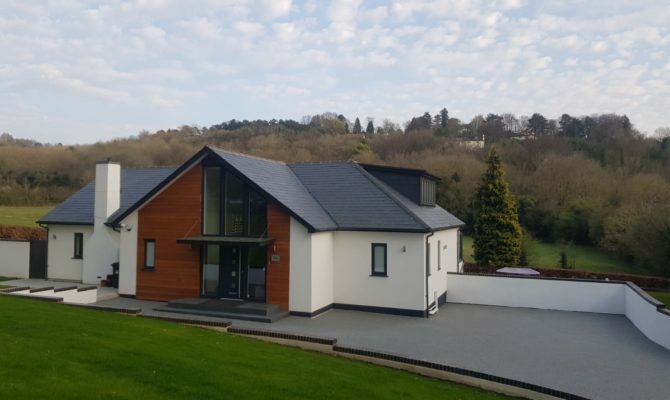 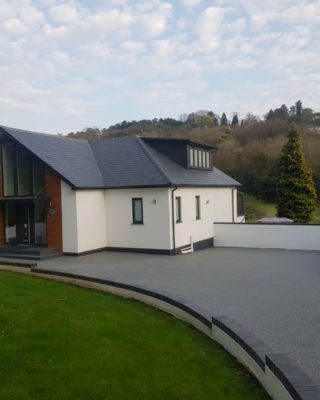 TTS Surfacing Limited carried out the work on this lovely property in Caterham, Surrey with the driveway measuring 216m². 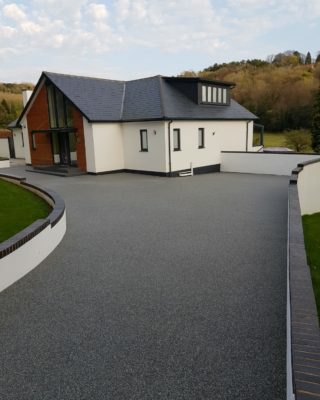 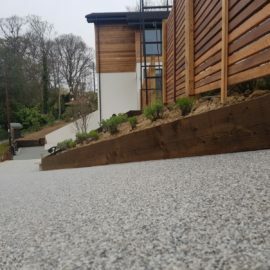 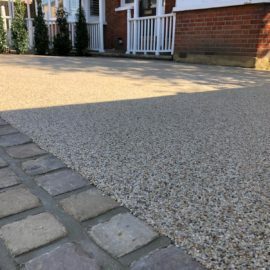 The finished driveway surface chosen was Meteorite Resin Bound Driveway. 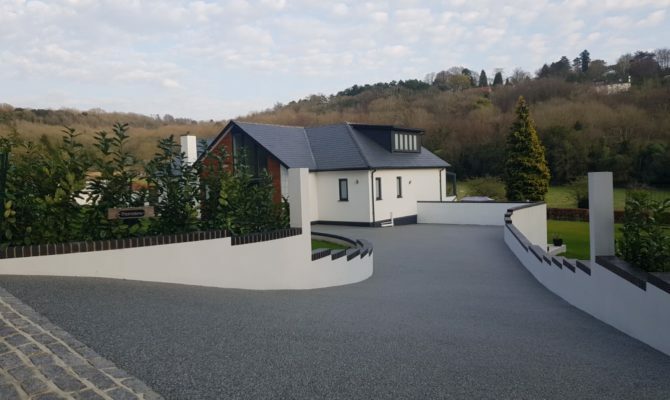 Driveway = 216m² Tarmac finish – Supply and lay necessary quantities of type 1 crushed concrete and consolidate. 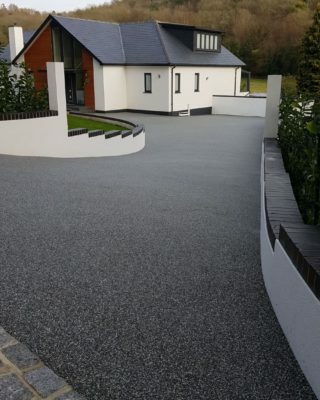 Supply and lay 35mm of 6mm SMA wearing course macadam. 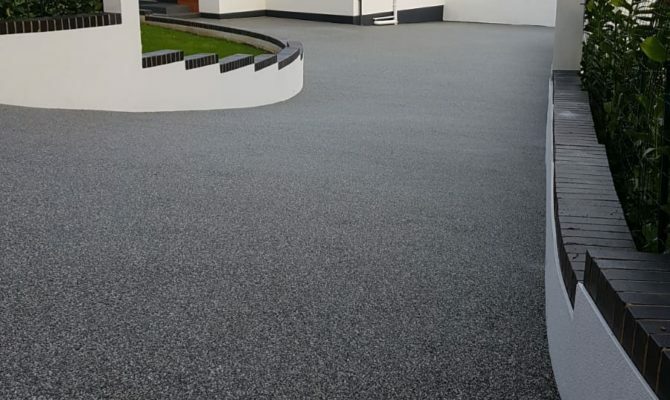 Driveway = 216m² Resin preparation Supply and lay necessary quantities of type 1 crushed concrete and consolidate. 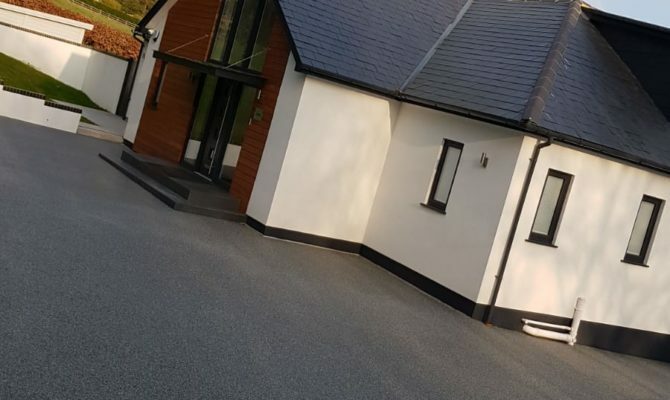 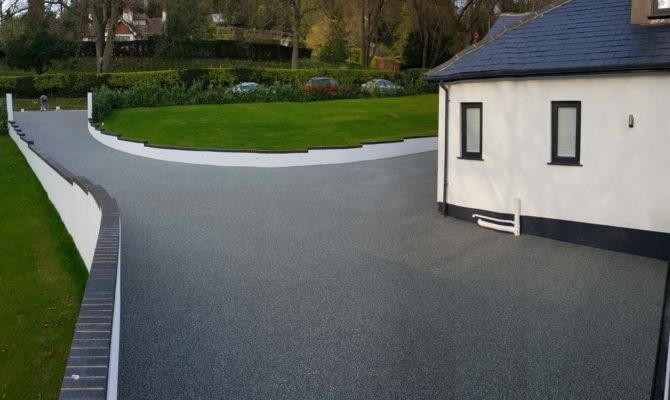 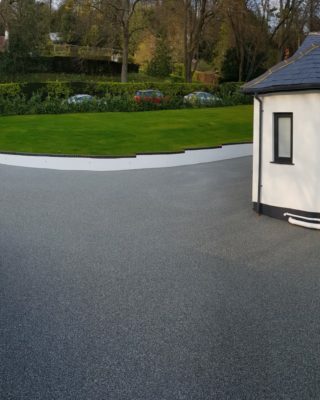 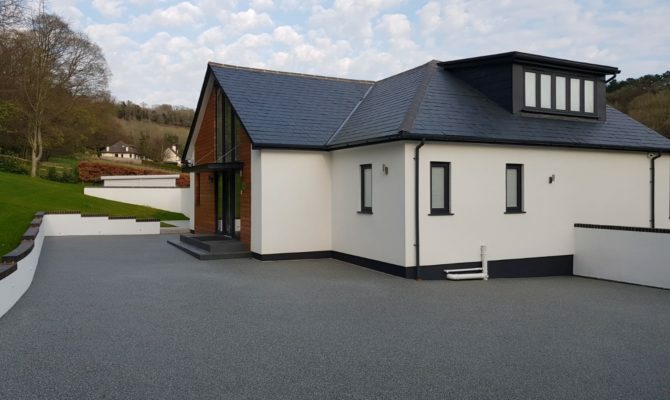 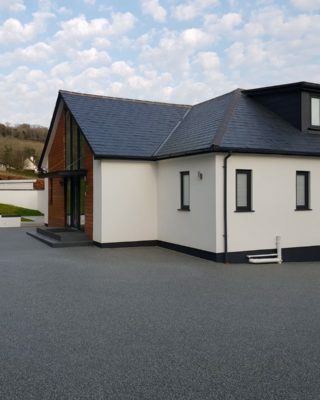 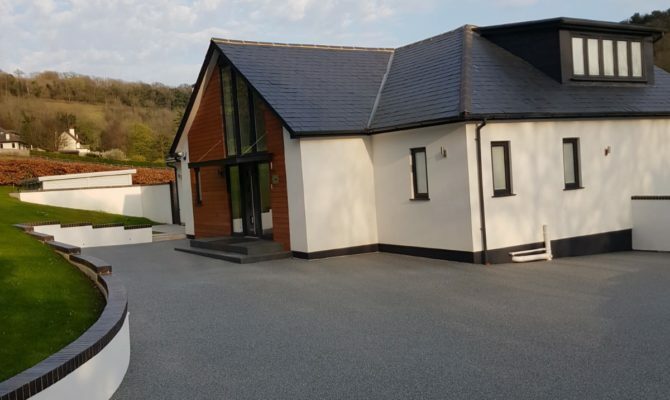 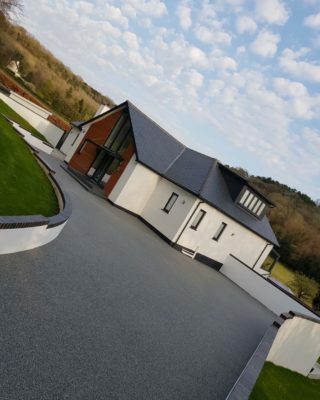 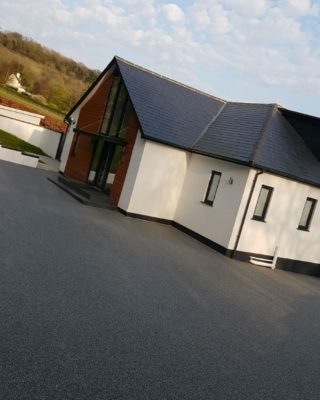 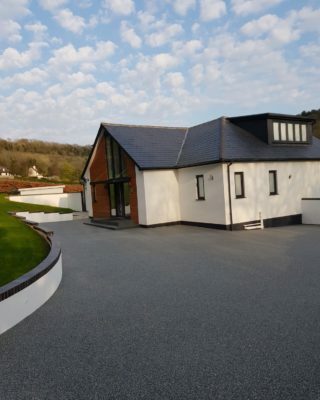 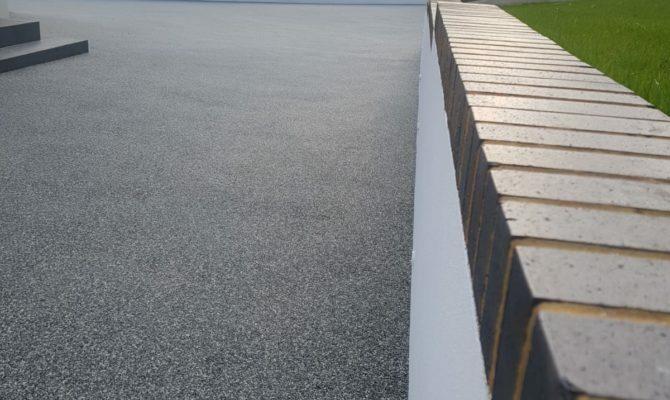 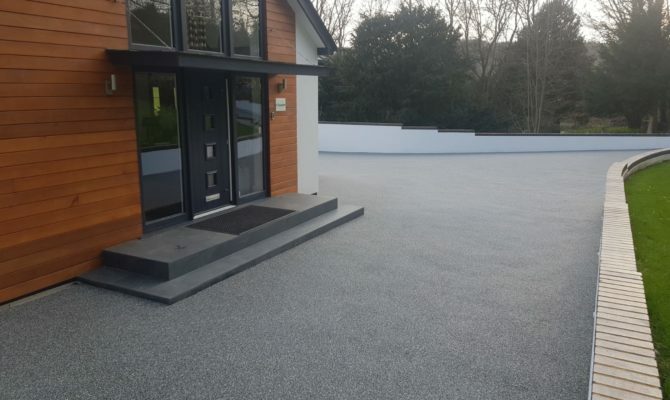 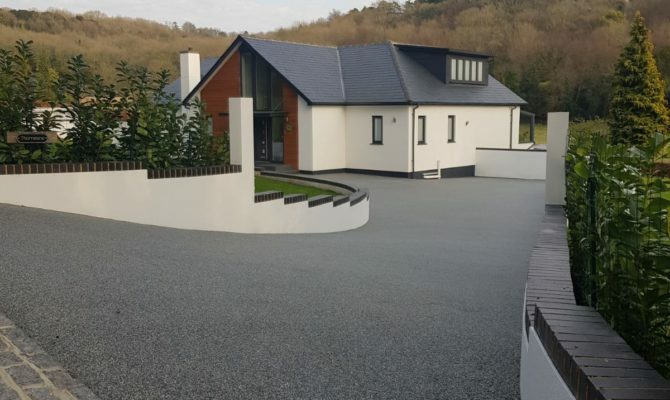 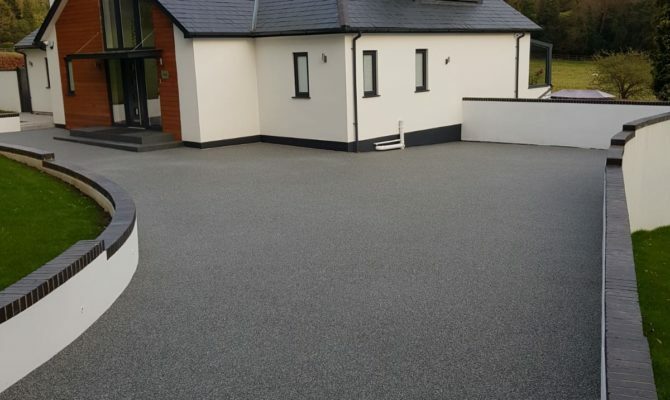 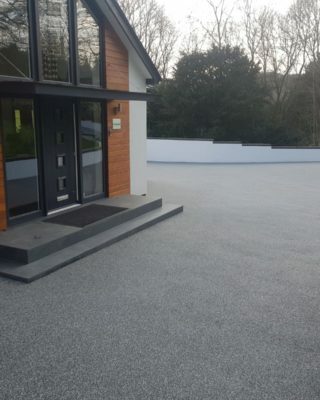 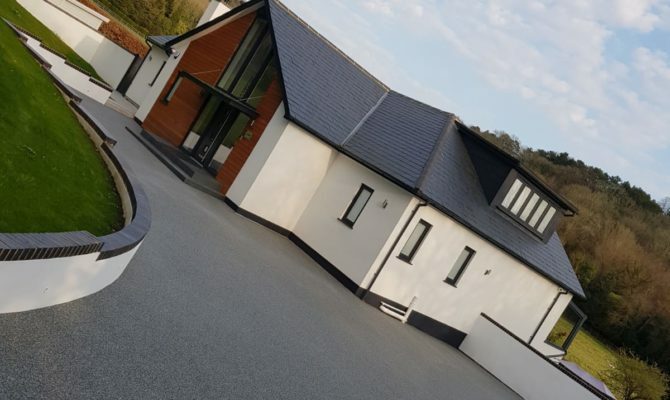 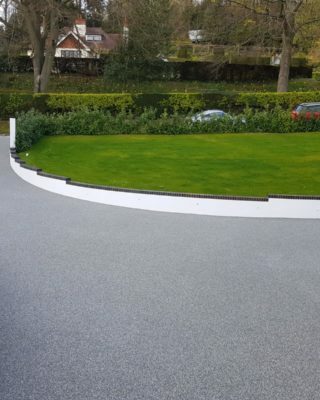 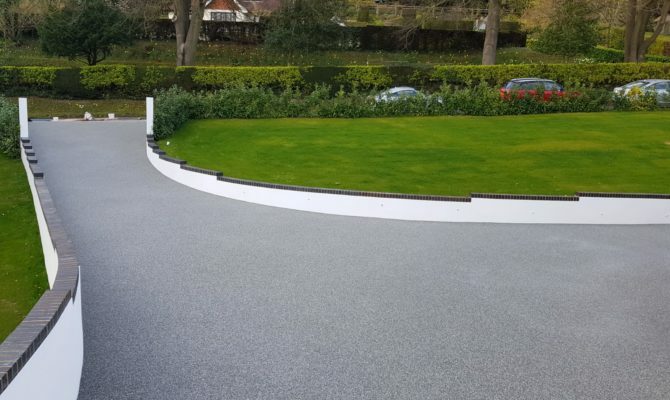 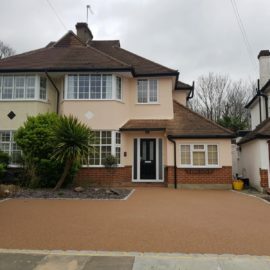 Driveway = 216m² Resin finish – Supply and lay 18mm of resin bound wearing course in Meteorite. 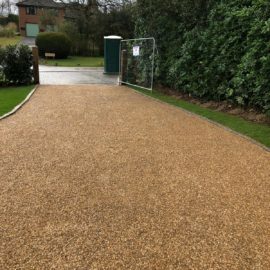 Granite setts – Supply and lay 5 no. 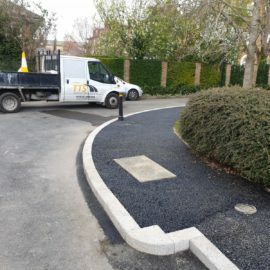 rows of granite setts equalling 40 linear metres to driveway entrance.